United Nations.- President of the Republic of Cyprus Demetris Christofias has called on the UN Security Council to make clear to the Turkish leadership that any threat to or violation of the sovereignty of the Republic of Cyprus, or any continuing violation of international and European law, will not be tolerated. The President made the remark while addressing the 66th session of the UN General Assembly on Thursday day at the UN headquarters in New York, where he condemned Turkey’s illegal act to conclude an “agreement” with the illegal regime in the occupied area of the Republic of Cyprus, to pursue exploration within the Republic of Cyprus’ Exclusive Economic Zone. 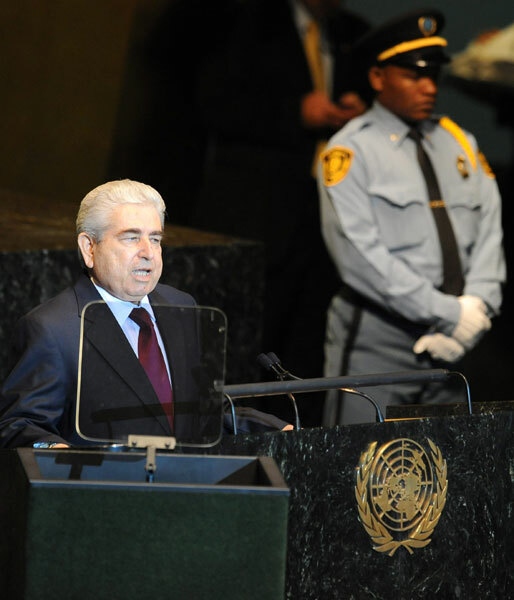 I congratulate you on your election to the Presidency of the 66th Session of the General Assembly. I express support of the Cypriot delegation and I wish you every success in fulfilling your duties. Over the last six months, we have witnessed historic changes in the wider region of the Middle East and North Africa, a region which is very close to Cyprus. A popular movement has developed in this region with the aim of implementing fundamental, democratic reforms. The reforms constitute a sovereign affair of the peoples and we hope that they are realised peacefully without bloodshed and for the benefit of the peoples themselves, through political dialogue and with the support of the international community. We, the international community, should offer this support, while respecting the sovereignty and the territorial integrity of the member states of the United Nations Organization. The Republic of Cyprus has experienced violence and we still suffer from its consequences. Cyprus is still enduring the effects of the illegal Turkish invasion of 1974 and the ongoing occupation. The Cyprus problem is first and foremost a problem of invasion and occupation, a problem of violation of international law and the human rights of Cypriot citizens. Since the Turkish invasion in 1974, our aim is a peaceful solution to the problem through negotiations between the Greek Cypriot and Turkish Cypriot community under the auspices of the UN Secretary General and on the basis of the Security Council and the General Assembly Resolutions on Cyprus. Since September 2008, we undertook a renewed effort to solve the Cyprus problem, under the auspices of the UN, through direct negotiations between the leaders of the two communities, upon our initiative. This effort is focused on the evolution of the unitary state into a federal one, with two federated units, with political equality as defined in the UN Security Council Resolutions. One state, with a single sovereignty, a single citizenship and a single international personality. This basis was reaffirmed by the leaders of the two communities in 2008, when they agreed on the resumption of negotiations. At the same time, the negotiation process, under the auspices of the UN, was agreed. 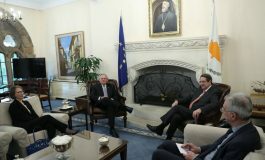 Τhe negotiations are “Cypriot-led” and “Cypriot-owned”, as it was agreed with the Secretary-General, excluding any form of arbitration and artificial timeframes. This was agreed bearing in mind recent negative experience as a result of unsuccessful attempts to solve the problem. We aim to achieve a mutually-agreed solution, terminating the occupation and the illegal colonization with settlers by Turkey in the occupied part of Cyprus. We seek a solution that reunifies the country and its people and creates conditions of lasting peace and security on the island. 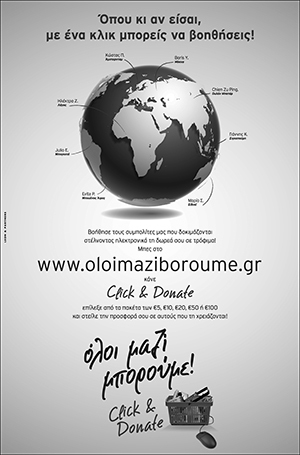 An important aspect of the Cyprus problem, of humanitarian nature, is the issue of missing persons. This issue must be settled regardless of the developments in the negotiations. Turkey must fulfil its obligations stemming from the judgements of the European Court of Human Rights, to allow exhumations in military areas and open the archives of its army and of other services, in order to determine the fate of the missing persons. During the first two years of direct negotiations between the leaders of the two communities, convergences have been reached on various aspects of the Cyprus problem. I regret to note that – lately in particular – the Turkish Cypriot side is backtracking even from previously found convergences. This change in the Turkish Cypriot leadership’s stance draws on the recent negative and provocative policy of Turkey in the region. In recent years, the Republic of Cyprus has started the process of the exploration and potential extraction of hydrocarbons within its Exclusive Economic Zone. This was preceded by Agreements to delimit the Exclusive Economic Zone with neighbouring countries, always within the framework of international law, particularly the United Nations Convention on the Law of the Sea, which the Republic of Cyprus has ratified. We anticipate that this effort will contribute to the discovery of new energy sources, particularly for Europe, and of course for the shared benefit of our people, Greek Cypriots and Turkish Cypriots alike. We believe that the possible discovery and extraction of hydrocarbons shall constitute yet another motive for Greek Cypriots and Turkish Cypriots to expedite a just, functional and viable solution to the Cyprus problem, so that both communities can enjoy the natural wealth of our country in conditions of peace, security and prosperity. I wish to reassure our Turkish Cypriot compatriots that regardless of the circumstances, they will benefit from the possible discovery and extraction of hydrocarbons. Unfortunately, the effort of the Republic of Cyprus to exercise its sovereign right for exploitation of its marine wealth is met by threats of Turkey against Cyprus. Turkish naval maneuvers in the region of Cyprus’ Exclusive Economic Zone, where exploration is being carried out, are provocative and pose a real danger for further complications in the region. At the same time, Turkey continues its illegal actions by concluding an “agreement” with the illegal regime in the occupied area of the Republic of Cyprus, to pursue exploration within the Republic of Cyprus’ Exclusive Economic Zone. I wish, from this esteemed podium, to condemn this illegal act which constitutes a provocation, not only for the Republic of Cyprus but also for the entire international community. Instead of adopting a constructive stance in the negotiations towards a prompt solution to the Cyprus problem, Turkey and the Turkish Cypriot leadership are trying to create tension and new illegal faits-accomplis. Ankara’s latest threats, directed against an EU member state, come at a time when Turkey seeks the opening of new chapters in its EU accession negotiations. We wish to express our gratitude to those permanent and non-permanent members of the UN Security Council, as well as to the European Union, for their clear position, defending the sovereign rights of the Republic of Cyprus. We call on the Security Council, the Secretariat and the United Nations in general, to impress upon the Turkish leadership that any threat to or violation of the sovereignty of the Republic of Cyprus, or any continuing violation of international and European law, will not be tolerated. We are fully committed to continue working towards a solution of the Cyprus problem, within the agreed framework and on the basis of the agreed process, as soon as possible. Considering that it is the Cypriot people who first and foremost are suffering from the continuing occupation, it is only natural for us to demonstrate goodwill and to exert every effort towards a just, viable and functional solution to the Cyprus problem and the reunification of the state and our people. We will continue to work for strengthening the cooperation and trust between Greek and Turkish Cypriots. Rapprochement of the two communities is integral to our policy. We continue our initiatives to create conditions conducive to a solution. We recall our proposal for the restitution of Famagusta – a European city uninhabited as a result of the Turkish occupation since 1974 – to its lawful inhabitants, under UN administration. Our proposal also includes the use of the city’s port by the Turkish Cypriots under EU supervision. Implementation of this proposal will significantly boost the negotiations and increase trust between the two communities. This will also lead to the unfreezing of negotiating chapters in Turkey’s EU accession process. We recall that the handing over of the uninhabited area of the city of Famagusta to UN administration and the return of its lawful inhabitants is demanded by Security Council Resolution 550 of 1984, which Turkey refuses to implement. We express our gratitude to the UN, under whose auspices the talks between the leaders of the two communities are carried out. We thank the Security Council and the Secretary-General himself for his good offices. It is to the credit of the UN Secretary-General that during his recent meetings with the leaders of the two communities he persistently sought reaffirmation of the basis of the negotiations from both sides. 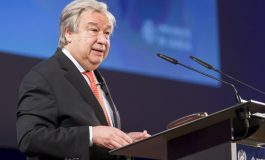 The Secretary-General made specific reference to UN Security Council resolution 1251, which provides that the solution of the Cyprus problem shall be a bizonal, bicommunal federation with political equality, as defined in the Security Council resolutions. A state with a single sovereignty, a single citizenship and a single international personality, excluding any form of union, in whole or in part with any other country as well as any form of partition or secession. This is the basis that the UN continues to support. We are also grateful that the Secretary-General has asked for the reaffirmation of the convergences that have been agreed hitherto in the framework of the talks. As I have already mentioned, unfortunately the Turkish Cypriot leader has retracted from previous agreements of fundamental importance. We believe that the only way to move forward and reach a solution as soon as possible is by upholding the commitments that both sides have undertaken in the presence of the Secretary-General. Negotiations must be carried out on a clear basis and without backtracking. The longstanding dispute in the Middle East is now characterized by frozen negotiations. It is of vital importance to resume the peace process on the basis of the principles established by the international community in its Resolutions. Cyprus supports the resumption of negotiations and calls on both sides to engage with honesty and goodwill, without creating new faits-accompli. Israelis and Palestinians alike deserve a peaceful, stable and secure future within the framework of two independent states. We maintain our principled position for a free and independent Palestinian state, next to the State of Israel, within the 1967 borders. It is ten years since the attacks on the World Trade Center here in New York. Cyprus continues to support the collective efforts of the international community, based on international law, to eliminate international terrorism. We support the implementation of the necessary measures, including the adoption of a Comprehensive Convention on International Terrorism. Most countries in the world are still in the grip of the global financial crisis. This crisis proves that a new model of growth must prevail, focused on reducing social inequalities, eradicating poverty and safeguarding the rights of workers and all people. Special emphasis must be given to the fairer distribution of social goods, such as health and education, and to ending the market’s impunity and lack of regulation. Emphasis must also be given to dealing with social repercussions, such as unemployment, delinquency, social marginalization – problems that cause social tensions and conflicts in a number of countries in Europe and the world. There can be no doubt that building prosperity and global stability on solid foundations cannot be done without protecting the environment and our planet, and promoting sustainable use of its resources. The upcoming United Nations conference on Sustainable Development in Rio in 2012 will be an opportunity for us all to reaffirm and expand our political commitment to sustainable development. Concluding, I wish to stress that there is no other way to deal with the challenges facing humanity today other than collective action. We will only succeed if we realize that our future must be characterized by mutual respect, the fairer distribution and redistribution of global wealth, social progress and equality, and the prevalence of international law and human rights.